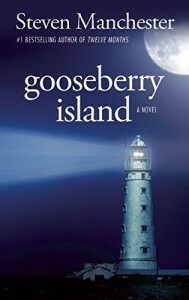 Gooseberry Island by Steven Manchester gave me a new understanding of P.T.S.D. afflicted soldiers. I now see just how deep the wounds can go when they have to go against everything inside of them all to obey a command. David McClain is an army ranger who is looking to settle down & start a family after his final tour with the United States Army Rangers. After advice from his trusted friend Captain Eli he issues his request to the Heavens. So when his answer Lindsey Wood literally runs right into him while jogging he couldn’t believe the horrible timing. Lindsey whose father Denis Wood is suffering P.T.S.D. 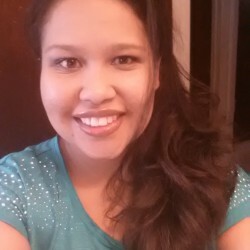 believes there is something about David that makes her want to get to know him better. Lindsey finds out how life can have a funny sense of humor as David his impending deployment. They agree to keep in touch while David is away & intend to start an actual relationship upon David’s return. Unfortunately for them David’s tour is one that will haunt him for a lifetime. Unlike any tour David has experienced this tour deals a deadly hand. David has to watch a child being brutally beat to death while commanded to do nothing. His father he so desperately wanted to make proud suffers a massive heart attack & dies. David’s fellow ranger Al loses his legs while saving David’s life & he can’t help but feel guilty. David comes home & is trying to handle it all. He doesn’t tell Lindsey any of the things he has seen while he is away & he doesn’t let her know of his return. Once Lindsey finds out David is home she reaches out but David shuts her out. Lindsey wants to help David; to comfort him. David however, doesn’t want love because of the pain he is suffering. David spins into an alcoholic depression after learning of his fellow ranger Max’s suicide. He nearly kills himself in a car accident before accepting that he can’t heal alone. Having help from Lindsey, David seeks treatment & begins the healing process. During which time he reaches out to Max Jr. so that he will know his Dad was a hero. You will have to read the book if you want to know how the story ends. Steven Manchester definitely crafted a story that would open eyes & break hearts.